Our new book about PDF has just been published. You can find it at O’Reilly’s own site in printed and ebook form, or from Amazon and other booksellers. At last, here’s an approachable introduction to the widely used Portable Document Format. PDFs are everywhere, both online and in printed form, but few people take advantage of the useful features or grasp the nuances of this format. This concise book provides a hands-on tour of the world’s leading page-description language for programmers, power users, and professionals in the search, electronic publishing, and printing industries. Illustrated with lots of examples, this book is the documentation you need to fully understand PDF. The latest version of our command line tools for processing PDF files has just been released. Updates to customers with support contracts will go out in the next week. The new demonstration version is available now from the website. Coherent Graphics Ltd is pleased to introduce a commercial, supported, faster pdf command line tool with the same interface as the popular open source PDFTK tool. For Mac OS X, Windows, Linux, Solaris. Other plaforms by request. Coherent PDF CPDFTK 1.6 is available for $200 for a single license or $40 for a non-commercial use license. The free trial is fully functional but places the word “DEMO” over any file it writes. We’re writing a front end for our PDF tools with the same command line interface as pdftk, so that it can be used as a drop-in replacement for pdftk for people who can’t compile pdftk on their system and don’t want to change to our normal command line system cpdf, or who want a supported, commercial pdftk. We’re looking for people who used pdftk regularly, either manually or as part of automated systems, to join in testing. If you’re interested please use the contact form on the front page at http://www.coherentpdf.com/ and send a couple of sentences about how you use pdftk. The new version of the Proview PDF Editor for Mac OS X is now available for download. The update is free for existing users – your license key will still work – just download and install from the website. New features include Visual Crop and the setting of crop and trim boxes on individual pages. It’s also about twice as fast as before. 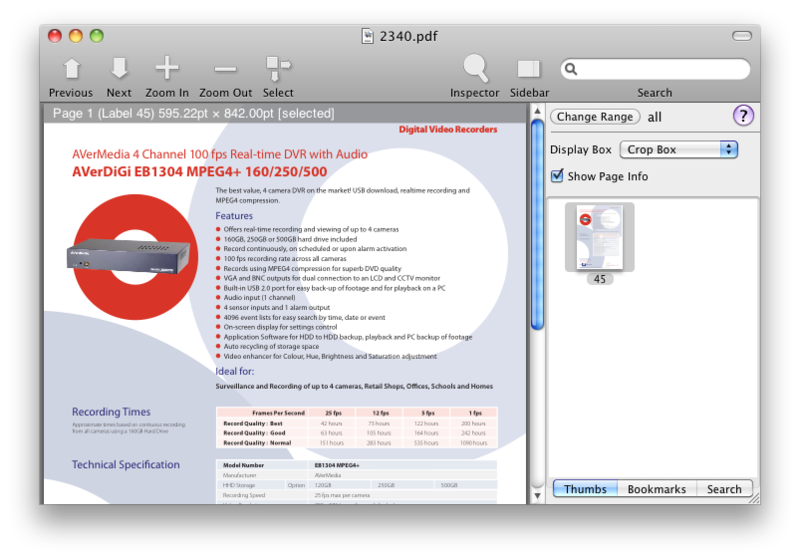 A new version of our PDF Editor for the Mac will be launched next week. New features include Visual Crop and the setting of crop and trim boxes on individual pages. It’s also about twice as fast as before. It’s not too late to join the beta program – just sign up with MacDeveloper.net. Proview 1.2 will be a free upgrade for existing users. You can get the Proview PDF Editor at 25% off for the next 16 days at mupromo.com. We’ve started work on the next release of Proview with an emphasis on making the existing functionality easier to use (visual selection for cropping, for example). Release expected in the Autumn. I’ve written a version of Ocaml’s Graphics module which outputs PDF directly, using the CamlPDF library – its only dependency. 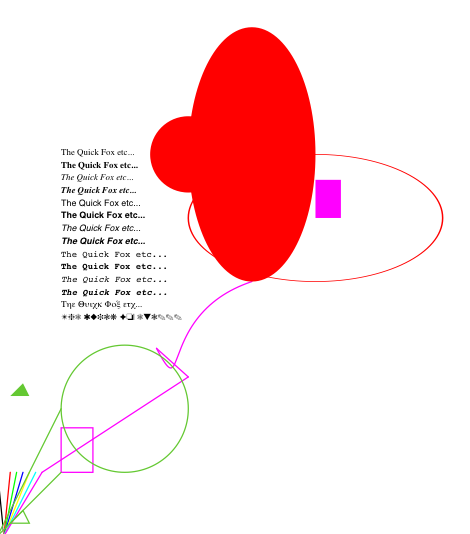 It’s based on the approach of Pierre Weis’ GraphPS program. It has the same API as Ocaml’s module – just have your build process find the GraphPDF files before it finds the system ones – the vast majority of programs shouldn’t need altering. I’m pleased to announce the CamlPDF 0.5 release, which includes a couple of new modules (Pdfdate for date manipulation, Pdfannot for annotations and Pdfmarks for bookmarks). Almost every other module has been improved in some way. There have been some API modifications which are not backward compatible, but the changes to your source are easy to make. This should be the last release with such changes.